The spur behind each flower confirms that Linaria repens is indeed a toadflax rather than a (similar in most other respects) snapdragon. There is a small orangespot on the lower lip of this attractive member of the Plantain family. 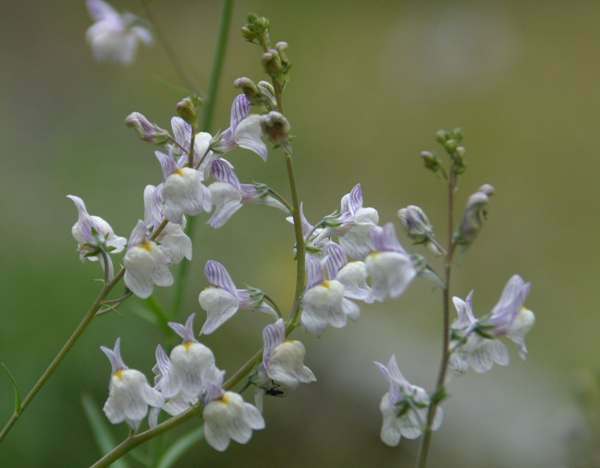 Pale Toadflax may be native to southern England and Wales, but elsewhere in Britain it appears only as a garden escape. This wildflower is reportedly absent from Ireland. Pale Toadflax is found mainly on dry soils, and so disused railway tracks are just the kind of habitat it prefers. Occasionally you may find Common Toadflax growing in old stone walls. 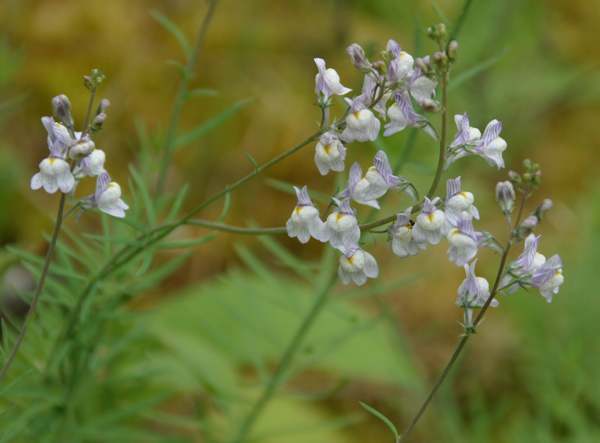 This late-showing wildflower blooms between June and September, and it is usually at its best in July when Common Toadflax Linaria vulgaris is also in bloom. Linaria, the genus name, comes from the Latin noun Linus, meaning flax or linen. The specific epithet repens means creeping or spreading, but Pale Toadflax often scrambles up other plants and can give the impression of being erect and self supporting. 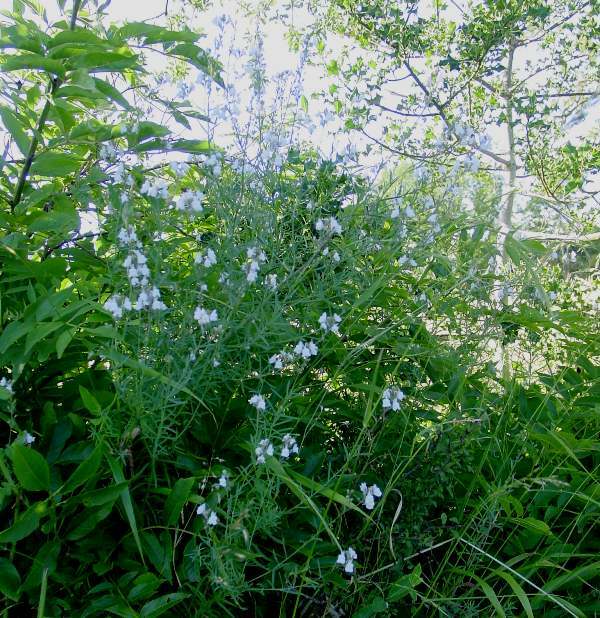 The epithet repens is used in many other genera, and some of the ground-hugging species concerned, such as Restharrow Ononis repens, are more deserving of the name repens. The photographs shown on this page were taken in West Wales in August.